If countries could reduce the proportion of their 20-24 year olds not in employment, education or training to German levels, most OECD nations could achieve substantial long term boosts to their GDP levels ranging from around 1% in Sweden and Denmark to around 3% in the US and the UK and up to around 7-9% of GDP in Spain, Greece, Italy and Turkey. At 2015 GDP values, the potential long term boost to total OECD GDP could be around $1.2 trillion. The core European countries of Switzerland, Germany and Austria take the top three places in the newly-launched PwC Young Workers Index, which charts the success – or otherwise - of countries in developing the potential of their under-25 year olds. And countries further down the rankings can add billions of dollars to their economies in the long run if they follow best practice in harnessing this potential, according to the report. The message is similar to that contained in the Golden Age Index launched by PwC in June 2015 in relation to older workers. The PwC Young Workers Index is a weighted average of 8 indicators that reflect the labour market activity and participation in education and training of people aged under 25 in 34 Organisation for Economic Co-operation and Development (OECD) countries. The report also estimates the potential long-term boost to OECD economies if they can match the relatively low share of young people (aged 20-24) who are not in employment, education or training (NEETs). The potential gains could range from around 1% of GDP in Sweden and Denmark, up to around 3% of GDP in the US, UK and France, with the highest potential gains being in Turkey, Italy, Greece and Spain of around 7-9% of GDP. Across all OECD countries the potential long term boost to total GDP could be of the order of $1.2 trillion (at 2015 GDP values). Other government policy measures to boost scores could include raising the proportion of apprenticeships and vocational courses for young people, and more emphasis on social inclusion to reintegrate those in danger of dropping out of school and employment. The PwC report highlights, for example, several German government initiatives relating to this younger age-group, concluding that other countries could benefit substantially from adopting international best practices. The PwC report also looks at the opportunities and challenges for business that the index highlights and links this to earlier PwC research on skill shortages and the different working characteristics of the millennials. These indicators are normalised, weighted and aggregated to generate index scores for each country. The index scores are rescaled to values between 0 and 100, with the average value across all 34 OECD countries set, by definition, to 50 in 2006. Index scores were also calculated for 2011 and 2014 (or the closest years for which internationally comparable data were available). Further details of the methodology, including the calculation of potential long-term boosts to GDP from lower NEET rates, is contained in the full report. 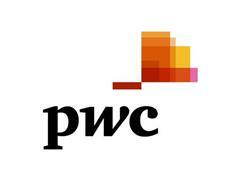 A copy of the PwC Young Workers Index will be available from 21st October 2015 at www.pwc.co.uk/youngworkers​.